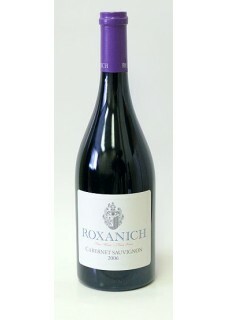 This Cabernet Sauvignon, for which the most relevant wine connoisseurs argue that it is the one of the 3 best Croatian Cabernet currently present on our market, is the new wine of the Roxanich winery. Given the three-year maturation in wood (combination of barrique, 500- liter and large barrels of 35 hectoliters) wine has a strong texture dominated by dark berries imbued with a chocolate-vanilla frame. In the mouth it is juicy, very rounded and lingers on the palate. Food pairing: Rich and spicy dishes.